The IV International Wine Festival arranged by Ganja Executive Power with the support of the International Organization of Viticulture and Winemaking, the Ministries of Economic Development, Agriculture, Culture and Tourism of the Republic of Azerbaijan was held from December 1 to 20, 2016 in Ganja city, Azerbaijan. During the festival the Azerbaijan State Agrarian University hosted the Second Blind Wine Tasting. The jury consisting of 16 experts invited from the countries of near and far abroad was presented 30 varieties of wines which were evaluated with a 100-point system. The taste, visual and aromatic characteristics of the samples of wines were evaluated. 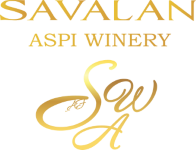 The list of winners includes the wines from ASPI AGRO which won two gold medals (Savalan Syrah 2013, Savalan Cabernet Sauvignon Ripassato 2013) and a silver medal (Savalan Viognier 2015). The aim of the festival is to create a culture of wine consumption, preservation of wine-making traditions, consolidation and support the promotion of products of local wine producers in foreign markets.